If you are right handed, you can view the right handed version of this tutorial here. “I just came across your videos and am determined that I CAN learn how to do this!! Here’s a breakdown of the pattern Marlene is working on. I’m using knitting abbreviations here to help you become more familiar with them. This is the same pattern as she describes above so you can reference that if anything here is confusing. 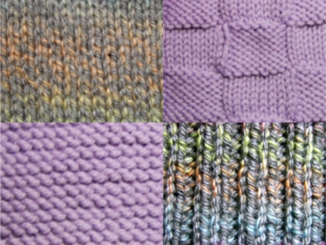 We also have a list of knitting abbreviations to help you with all knitting patterns. 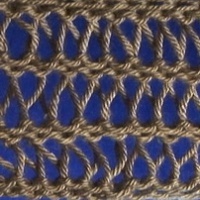 Repeat rows 1 – 4 until the scarf measures 50″ , 60″ , 70″ or 80″, or until desired length. First cast on 20 stitches. 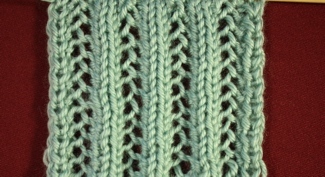 Then, knit two rows in a basic knit stitch. On the next row, which is the third row, you’ll knit 1, then yarn over twice, knit 1, yarn over twice, knit 1, yarn over twice, and continue doing this until the last stitch which will be a knit 1. On the next row, which will now be the fourth row, you’ll knit 1, drop both yarn overs, knit 1, drop both yarn overs, knit 1, drop both yarn overs and so on until the last stitch which will be a knit 1. At this point you’ve completed four rows. Now the instructions say to repeat rows 1 – 4, so you will go back to the beginning where you will knit 2 rows followed by the row of knit 1, yarn over twice, (etc) and the following row where you will knit 1 and drop both yarn overs. 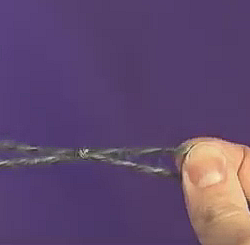 Continue repeating this process until you have a scarf in the desired length. I used a size 10 needle and Caron Simply Soft yarn in the example video below.